Many times, early in project planning, teams find themselves wanting to expand public involvement in projects. The promise of social media looms large in increasing participation which leads many teams to ask: should this project have a Facebook page? Fret not, however, in most cases leveraging your existing social media presence and taking advantage of Facebook (and other social media ) tools can be used in a focused way to achieve the results you desire without the headaches. Does this project already have a natural audience? One of the simplest questions regarding the creation of a Facebook page for a particular project is whether or not it has a natural audience. High profile parks, for example, often have built in interest groups ready to like a page. Roads, on the other hand, do not. The majority of projects, in fact, do not. Or they may be better positioned to assist in generating interest for the agency’s Facebook page instead. If there's no natural audience, it's worth asking - how will Facebook users find your page? Facebook is a social commons; it requires that users either share content with each other or with their followers. If there's no natural group of people clamoring to find your project, advertising through your agency page or a third party - such as PublicInput.com - is necessary. Will you be able to keep up the social content? Consumers of social media expect content. 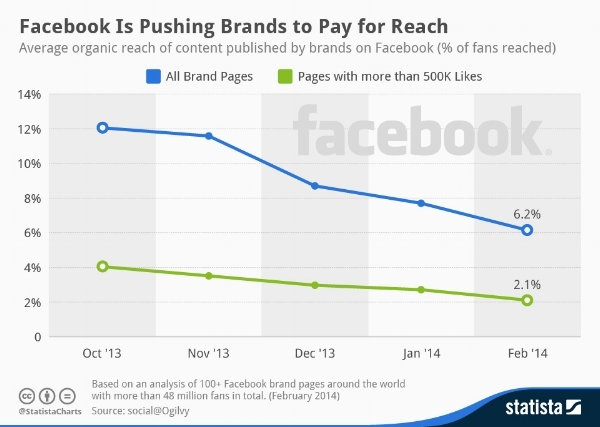 Successful Facebook pages (and all social accounts) keep up activity over time. If you are uncertain about how a Facebook page will be added to over time, it’s unlikely the page will be kept up. Think about how the page will be used throughout the project and after - will you be able to send regular updates? And then, once the project is complete, will you continue to update the audience you’ve gathered? If not, consider building interest on the agency’s main page or using a third party, like PublicInput.com. Is the agency’s Facebook page established? There’s no real answer to what a successful Facebook page is, but there are some indicators. An active news feed with pictures and significant likes and shares. We’ve seen some agencies match the population of their service area, and others have relatively small followings relative to that size. In either case, a project can be a great way to add a topic of interest within that existing community. Often an agency pays relatively little attention to their Facebook page or use it infrequently. Then, when an initiative arrives, there's a push to put it out on Facebook as a stand-alone page. Creating a page separate from that potentially splits the audience or worse leads to confusion about who is in control of the project. One of the considerations our agency partners often have to face is that their agency is slightly unknown to the public at large. Metropolitan Planning Organizations in particular have difficulty sharing their message with the public at large. In those cases advertising to that page - even when advertising a specific project - helps build interest and audience around the agency. Do we want to pay Facebook twice for the exposure we get? As Facebook has evolved, changes to its news feed algorithm make it increasingly difficult to get organic (read: 'free') exposure - even when people follow your page. What that means if you intend to create a new page for this project, you're signing up to have to promote the page itself to gain followers. Then, even though you've built an audience of followers, you're not guaranteed the ability to reach that audience completely unless you're willing to boost (read: 'pay') to ensure your content is seen. A big lesson here is that regardless of approach, to get exposure for your content with the right audience, Facebook expects to be paid in some way. With that in mind, the key strategy is maximizing the return on your invested time and money. Here's what we've seen work best. If you answered positively to the earlier questions about your agency's existing page, it's a great platform to start from to reach your target audience. From your agency page, you can create posts promoting your project, and where relevant, link back to your project website on PublicInput.com or your project hub. Next, you can setup an advertising campaign for that specific post at Business.Facebook.com. Facebook has a ton of documentation and connect those posts to PublicInput.com on the social outreach page. Benefits: Guaranteed reach of your target audience. Additional organic reach to your existing followers. Drawbacks: Reaching people outside of your target area/audience. Slow turnaround times if multiple approval layers needed. * Note - if you're unfamiliar with Facebook's business manager, you can use PublicInput.com's targeted social outreach page to create a targeted social advertising campaign. With Facebook's investment in highly-granular audience targeting, the simplest option is to simply pay only for the exposure you need. Whether that's a specific geographic area or demographic, you can add the variables to your targeted social order form to quickly plan and budget outreach to the residents you need to reach. Benefits: Guaranteed reach of your target audience. Quicker turnaround if your agency page has additional approval layers. Saved time on content creation and follow-up content. Drawbacks: This approach won't leverage your organic followers (which may be helpful if you have a large following). An example of a targeted Facebook post created through the PublicInput.com platform. You can use your agency Facebook page in lieu of the PublicInput.com branding if desired. The goal of my activity on social media is to drive awareness and engagement. It will take time and money to achieve this. The best approach will maximize the former and minimize the latter. All of your projects have a natural audience and Facebook advertising provides a unique way to target people with specific interests, demographics and locations in a way that has never been possible before. While there is a cost of $15-20 per thousand views your post receives, the net result of paying specifically for the exposure you need can reap major savings of staff time. It is this application of social media and the PublicInput.com platform that is most compelling for project teams looking to broaden their outreach. Creating a Facebook page alone, however, often just leads to sadness. Got it - we'll review these details and be in touch with your results!